Many people have benefited from the more than 6,000 submissions to the Shared cM Project, an incredible crowdsharing project (which is still collecting data HERE!). One issue with the Shared cM Project, however, is that it is user-submitted data, meaning there are invariably two inherent problems that will affect that data: (1) data entry errors; and (2) relationships that are not accurate. It is actually a very simple matter to resolve both of these issues, and that is to provide the distributions for the data. The distributions will show clearly where the outliers (the errors and the incorrect relationships) reside. To generate distributions, I enlisted the help of mathematician Ingrid Baade, who volunteered all of her time. I am forever in her debt for this contribution! ... Click to read more! 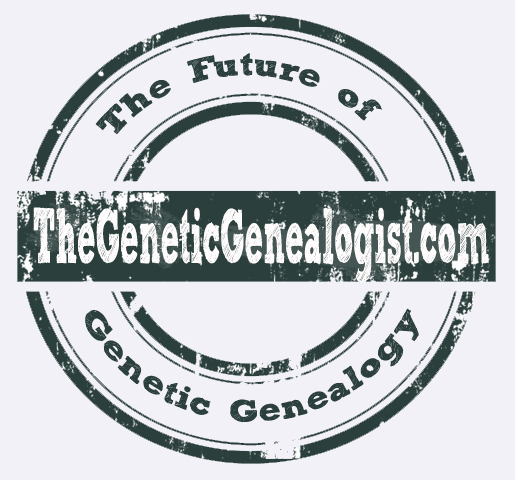 Genetic Genealogy Christmas Sale Flyer From 2020! The Comprehensive Genetic Genealogy Testing Package®! Syracuse, New York – December 1, 2020 – Announcing the new Comprehensive Genetic Genealogy Testing Package®, the most extensive genetic genealogy test ever available! For just $299.00 (plus S&H), you will receive insightful information about all aspects of your ancestry, including your ethnicity and numerous genetic cousins, among other incredible information. After sending in just a few swabs (cheek, gut, and face), you will receive your results in 4-6 weeks. As part of the Comprehensive Genetic Genealogy Testing Package®, you will receive results from each of the following individual tests: ... Click to read more!